In the present study, Salvia sclarea L. was collected during to flowering stage in 2016, Sarıcakaya (Eskişehir/Turkey) and dried medicinal plant materials were macerated with 70% MeOH. The antimicrobial activity of Salvia sclarea extracts was determined with minimum inhibitory concentration (MIC) assay against Escherichia coli ATCC 35218, Staphylococcus aureus ATCC 29213 and Candida albicans ATCC 90028. The antibiofilm activity of Salvia sclarea extracts was determined against Staphylococcus aureus ATCC 29213 and Staphylococcus epidermidis ATCC 14990. And the preliminary cytotoxicity assessment of extracts was tested with Brine Shrimp Lethality Assay against model organism Artemia salina nauplii. As a result, Salvia sclarea extract showed remarkably antibacterial activity while it showed no effect on Candida albicans ATCC 90028. Moreover, antibiofilm activity could not be determined. The lethality effect also could not be determined due to high dose concentrations. 1. Güner A, Aslan S, Ekim T, Vural M., Babaç MT. Türkiye Bitkileri Listesi (Damarlı Bitkiler). Nezahat Gökyiğit Botanik Bahçesi ve Flora Araştırmaları Derneği Yayını, İstanbul. 2012. 2. Walker JB., Sytsma KJ. Staminal evolution in the genus Salvia (Lamiaceae): Molecular phylogenetic evidence for multiple origins of the staminal lever. Ann Bot. 2007; 100: 375–91. 3. Akkol EK., Göger F, Koşar M, Başer KHC. Phenolic composition and biological activities of Salvia halophila and Salvia virgata from Turkey. Food Chemistry. 2008; 108: 942–949. 4. Aşkun T, Başer KHC, Tümen G, Kürkçüoğlu M. Characterization of essential oils of some Salvia species and their antimycobacterial activities. Turk J Biol. 2010; 34: 89-95. 5. Yang Z, Kitano Y, Chiba K, Shibata N, Kurokawa H, Doi Y. Synthesis of variously oxidized abietanediterpenes and their antibacterial activities against MRSA and VRE. Bioorg Med Chem. 2001; 9: 347-56. 6. Abd-Elmageed MAM., Hussein BA. Cytotoxicity and antimicrobial activity of Salvia officinalis L flowers. 2008; 3: 127-30. 7. Lima CF, Andrade PB, Seabra RM, Fernandes-Ferreira M, Pereira-Wilson C. The drinking of a Salvia officinalis infusion improves liver antioxidant status in mice and rats. J Ethnopharmacol. 2005; 97: 383–9. 8. Baricevic D, Sosa S, Della LR, Tubaro A, Simonovska B, Krasna A, Zupancic A. Topical antiinflammatory activity of Salvia officinalis L. leaves: The relevance of ursolic acid. J Ethnopharmacol. 2001; 75: 125-32. 9. Çadirci E, Süleyman H, Gürbüz P, Kuruüzüm UA, Güvenalp Z, Demirezer LÖ. Anti-inflammatory effects of different extracts from three Salvia species. Turk. J. Biol. 2012; 36:59-64. 10. Tada M, Okuna K, Chiba K, Ohnishia E, Yoshiia T. Antiviral diterpenes from Salvia officinalis. Phytochemistry. 1994; 35: 539-41. 11. Smidling D, Mitic-Culafic D, Vukovic-Gacic B, Simic D, Knezevic-Vukcevic J. Evaluation of antiviral activity of fractionated extracts of Sage Salvia officinalis L (Lamiaceae). Arch BiolSci Belgrade. 2008; 60: 421–9. 12. Fiore G, Nencini C, Cavallo F, Capasso A, Bader A, Giorgi G, Micheli L. In vitro antiproliferative effect of six Salvia species on human tumor cell lines. Phytother Res. 2006; 20: 701-3. 13. Ryu SY, Lee CO, Choi SU. In vitro cytotoxicity of tanshinones from Salvia miltiorrhiza. Planta Med. 1997; 63: 339-42. 14. ZareShahneh F, Valiyari S, Baradaran B, Abdolalizadeh J, Bandehagh A, Azadmehr A, Hajiaghaee R. Inhibitory and cytotoxic activities of Salvia officinalis L. Extract on human lymphoma and leukemia cells by induction of apoptosis. Adv Pharm Bull. 2013; 3: 51-5. 15. Coelho DE, Souza GP, Elisabetsky EI. Ethnobotany and anticonvulsant properties of Lamiaceae from Rio Grande de Soul (Brasil). In: Harley R, Payton A, Harvey T, eds. Lamiales Newsletter Royal Botanic Gardens, Kew. 1998; 10. 16. Lawrence, B. M.The Antimicrobial /Biological Activity of Essential Oils, Allured Publishing Corp. USA: Carol Stream, IL. 2005. 17. CLSI M27-A2. Reference method for broth dilution antifungal susceptibility testing of yeasts. Approved standard. 2nd ed. 2002. 18. CLSI M7-A7. Methods for dilution antimicrobial susceptibility tests for bacteria that grow aerobically. Approved standard. 7th ed. 2006. 19. Meyer BN, Ferrigni NR, Putnam JE, Jacobsen LB, Nichols DE, Mclaughlin JL. Journal of Medical Plant Research.1982; 45: 31-4. 20. Knobloch K, Pauli A, Iberal B, Weis N, Weigand H. Antibacterial activity and antifungal properties of essential oil components. J Essent Oil Res. 1989; 1:119– 28. 21. 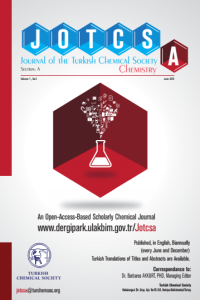 Özçelik B, Kartal M, Orhan I. Cytotoxicity, antiviral and antimicrobial activities of alkaloids, flavonoids, and phenolic acids. Pharmaceutical Biology, 2011; 49(4), 396-402.